How do you see yourself spending retirement? Golfing in Florida? Traveling the country in an RV? Spending time with family and grandchildren? No matter how old you are right now, it’s smart to start thinking about what you want from your retirement. Regardless of your stage of life, now is the right time to plan for retirement. Keep reading to see how you can plan for retirement at any age. To start (or keep) saving for a comfortable retirement, you need to figure out the right path to retirement for you. This means having a good grasp on what your current financial situation is, and knowing what your goal for saving is. Knowing how much to save is tricky. It depends on many factors, including what age you plan to retire at, how long you’ll live, and what your annual living expenses during retirement are. The easiest way to start when you’re younger is to imagine what your retired life will look like. Where do you live? What does your spending look like? Create an imaginary retirement and then start saving for that lifestyle. Are you helping kids or grandkids pay for college? Have you stopped driving and don’t need a car? Has your health deteriorated and you need more care? Are you downsizing your home? Most expert estimate that you’ll need to replace 70% to 90% of your pre-retirement annual income, between savings and Social Security, for each year of retired life. Let’s say you are an American woman who decides to retire at 60 years old earning an average of $100,000 per year before you retire. You should plan on $70,000 to $90,000 for each year of retirement. The lifespan of the average American woman is 81 years. This means that you will need, between Social Security and personal savings, $1.47 million to $1.89 million to pay for your retired years. You are an American woman who waits until 68 years old to retire. You earn an average salary of $50,000 per year before retirement. You’ll need to have $35,000 to $45,000 saved for each year of retirement. Expecting to live until 81 years old, you will need $455,000 to $585,000 saved between Social Security and personal savings. If you factor in that the average Social Security benefit for 2019 will be around $17,532 per year, you need to save between $247,000 and $377,000 in personal savings to cover your retired years. Everyone’s retirement looks different, so everyone’s saving plan is different. Start by saving 10%-20% of your income each year toward retirement. Then, keep checking in on your goals. Has the plan changed? Do you need to save more? Review your financial situation and retirement goal often to make sure you are staying the course. Below are some retirement savings strategies that you can employ at each stage of life to guide your savings plan. Most 20-year-olds are just starting careers. While it’s very exciting to get your first paycheck, it’s also a little jarring to realize how much of that paycheck goes toward living expenses, student loans, and taxes. Saving may seem a little impossible, but it isn’t! Focus on paying down debts, avoid accruing unnecessary debts, and build good credit. Every little bit you can invest now is a huge contribution thanks to compound interest. If you are expecting out-of-pocket medical expenses in the next year, use an HSA to make pre-tax contributions into an HSA that can then be used on qualifying medical expenses. The money you save by avoiding taxes on your medical bills can be shuffled into your retirement. Employer-sponsored retirement plans are a great way to save without having to think too hard about the process. The most common plan is a 401(k) retirement fund. Your employer will withhold money from your paycheck and automatically contribute that money toward your 401(k). Most employers also offer a company match up to a certain percent. For example, if you contribute 10% of your paycheck toward your 401(k), your company may match your contributions up to 3%. Try to direct at least what your company matches into your 401(k). Starting in 2019, you are allowed to contribute as much as $19,000 in your pre-tax income toward employer-sponsored plans. Make sure your investment portfolio is set up for maximum growth by having the right mix of stocks and bonds. You pay taxes on the money to contribute to your Roth IRA, but don’t have to pay taxes when you take the money out of the account in retirement. Because you are likely in a lower tax bracket as you start your career, you’ll pay less in taxes now than you would if you had to pay taxes on the money during retirement. A Roth IRA is a great option for tax-free retirement income. For 2019, you can contribute up to $6,000 a year to a Roth IRA. Be aware that Roth IRAs have income restrictions, meaning that if your annual income is too high, you cannot contribute to this fund. This is another reason why setting up a Roth IRA in your 20s is a great idea – you may not have the option later in your career because you will make too much money. A Traditional IRA is also an option. Click here to see the differences between a Traditional and Roth IRA. Statistically, your income will increase between your 20s and your 30s. As your career advances, you’ll make more money. By this point, you should consider upping your annual contributions to your retirement account. If you can maintain the same cost of living as you had in your 20s, you can contribute your additional income to your retirement fund. If you start to bring in too much money, you may not be eligible to contribute to your Roth IRA any longer. Keep reading to see a couple of other options you need to start considering as your financial life takes off. If you’ve maxed out your 401(k) contributions, or maybe became ineligible for a Roth IRA, you should consider a Traditional IRA. A Traditional IRA is a pre-tax fund. This means that you don’t pay taxes as the money is contributed, but you will pay taxes when you take the money out during retirement. Total combined contributions to Traditional and Roth IRAs are limited to $6,000 a year. The ability to roll your former 401(k) accounts into an IRA is another reason a Traditional IRA may be the move for you. As you change jobs, you can consolidate old employer-sponsored funds into one Traditional IRA to keep investing easy. Talking to a financial planner is never a bad choice at any life stage. As your financial situation becomes more complex, financial advice can be particularly important. You may be considering starting a family or purchasing a home. Big life steps like this will affect how much can put into your retirement fund monthly. Whether it’s starting a college fund for your first child, or developing a succession plan for your family-owned business, a financial planner can help you see the big picture of your financial future. Typically, this is the time in your life when you are a little more stable. You may have a home and children. Your career is more likely to be on a steady track at this point, and you have a more realistic picture of what your retirement lifestyle will look like. This is the time to buckle down on that imaginary retirement and make sure you are on track to reach those goals. You should have a formalized financial plan with your advisor and milestones to keep you on the right path. If you haven’t already, take a look at life insurance to keep things heading in the right direction. Life insurance is a good thing to opt into once you have a family or dependents. It is a good way to make sure your finances don’t negatively affect your beneficiaries in the event of your death. Retirement is right around the corner! Don’t lose steam just yet. By the time you are in your 50s, you need to start considering how to exit the workplace. The timeline for how you will accomplish this will directly affect how aggressively you save money during this decade. By this point, you should be maxing out your retirement contributions to each account every year. For 2019, once you hit the age of 50, you can start contributing up to $25,000 a year to a 401(k) or other employer-sponsored retirement accounts. Additionally, you can increase your contributions to your Traditional and Roth IRAs to $7,000 per year. Your plan for retirement should include a shift in your portfolio away from riskier investment into safer investments. When you’re young, your investment portfolio was designed to maximize growth. 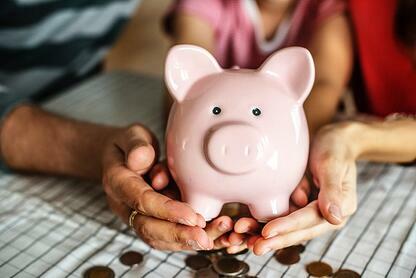 As you near retirement, you want to protect your savings from swings in the market by keeping the money in low-risk options, like bonds or and money market funds. Your 60s is likely when you will retire. Chat with your financial advisor about distribution options and how to access Social Security. You should have a plan for cash flow and be deciding on the need for health insurance. As long as you’re working, it is a good idea to keep maxing out your retirement saving contributions. At age 59.5, distribution penalties no longer exist. Before 59.5 years old, withdrawing money from you 401(k) or Traditional IRA would mean you get hit with a 10% tax penalty. Although you can access the money in your 60s, it’s best to leave the money in the account until you retire. You qualify for some portion of your Social Security benefits at age 62. Between the ages of 65 and 67 you can receive full benefits. If you hold off until 70 to collect Social Security, your payments will be the highest. Check with an advisor to see what the optimal age for collecting Social Security is for you. What’s the average age for retirement in the United States? The average American man retires at 59.62 years old. The average American women will retire at 60.11 years old. Across both genders, the average age of retirement was 59.88 years old. You need to be aware of some retirement fund requirements as you age. You have to start making regular withdrawals from your 401(k) or traditional IRA accounts by the age of 70.5. If you fail to take the distribution, there are heavy financial penalties. The financial penalty, equal to 50% of the amount you didn’t withdraw, will be included as a tax when you file the next year. Roth IRAs work a little differently. There are no taxes when you take the money out of the account for retirement. This also means that there is no minimum disbursement requirement on a Roth IRA. Use these tips and tricks to make your dream retirement a reality. 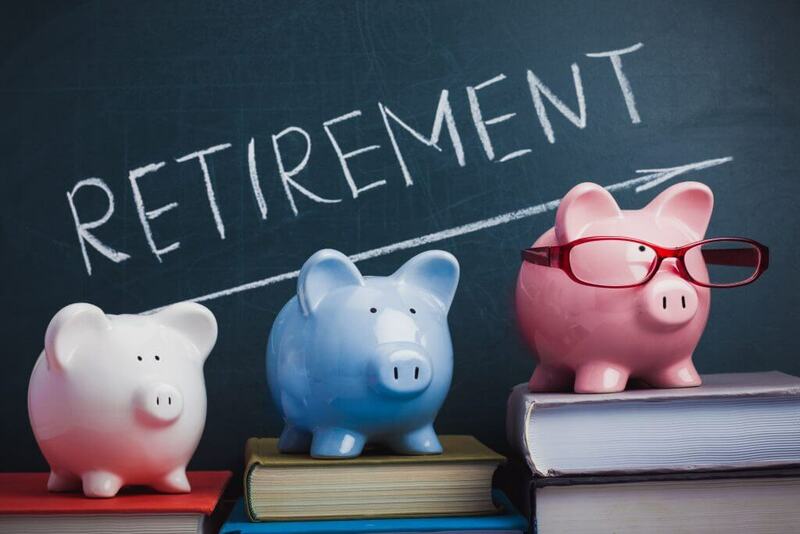 Now that you’ve seen all the ways you can plan for retirement at any age, you should feel ready to tackle retirement saving. Are you looking for more guidance on retirement planning? Contact us today and let FamilyVest help you plan for the retirement of your dreams.